London, ON – For the fourth consecutive year, London Recreational Racing will sponsor an event at Millgrove, Ontario’s Flamboro Speedway. 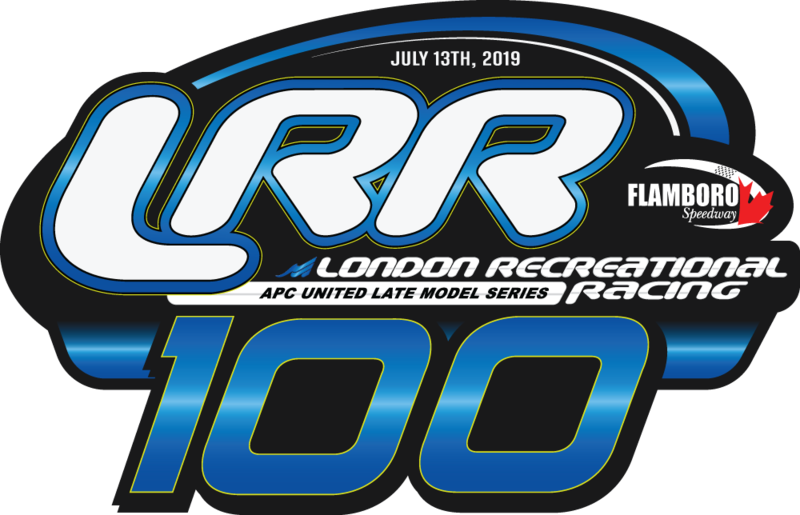 The LRR London Recreational Racing 100 will take place on Saturday, July 13th, and will be the second of two stops at the bullring, and fifth race of ten on the 2019 tour. Each year the series has operated, Flamboro Speedway has hosted a pair of events. The winner of the second race has gone on to win the APC Series championship 50% of the time, those being Andrew Gresel in 2016 and most recently JR Fitzpatrick in 2018. The 2017 running of the LRR 100 was dubbed one of the greatest races in series history thus far as Andy Kamrath held off Brandon Watson to earn his first career series victory. London Recreational Racing has fielded cars in the APC Series since its inaugural campaign and have found themselves in victory lane for a combined 11 times, seven with Andrew Gresel, three with Shawn Chenoweth, and once with Andy Kamrath. Four of the team’s victories have come at Flamboro Speedway. The 2019 running of the LRR 100 will be another one for the record books and is one race teams will have circled on their calendar for various reasons. London Recreational Racing prides itself on racing to be competitive while respecting the other competitors. Success does not happen without sweat, blood and tears in the shop before leaving for the race track. To win races it takes great partners, crew, drivers and dedication. The APC Series is excited and welcomes back London Recreational Racing for the 2019 season.